My Teen Vogue arrived two days ago, the September issue! One of my favourite months solely for that reason. I have to be truthful, I was a little disappointed seeing as how much I look forward to this issue, but I did find a fashion gem or two. 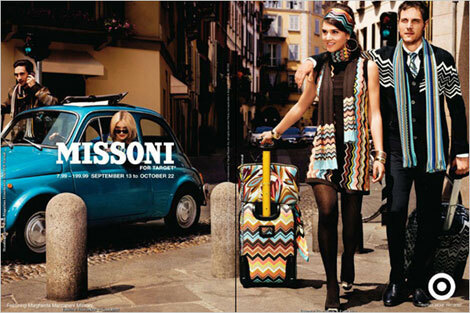 One of them being an article on Missoni for Target, the new collection! I am so excited because their signature print is now affordable and available to young dreamers like me. You can see the whole collection here. 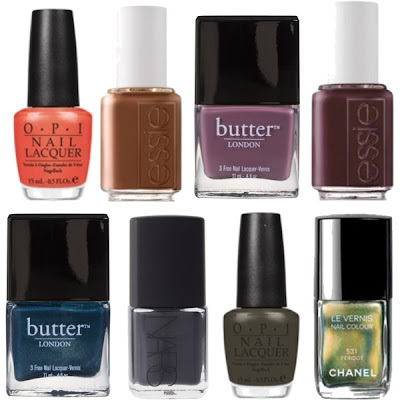 I also found this mish-mash of new fall nail colours on the Polyvore blog, I adore the deep, shimmery tones. Thanks to all those lovelies who have been entering my giveaway. I ran into some fans of my blog the other day, it is such an amazing feeling to meet those people who read my blog and appreciate my sense of style! AMAZING in anything Missoni for Target has to offer. I love this post, so colourful, it stood out in my news feed!